A 30th Birthday party, with some unexpected guests! Now THATS my kind of press conference! The whole thing’s presented by Aisha Tyler, and she certainly knows how to crack a joke and keep the show going. Anyway, here we go! Just Dance 2017 is announced for all sytems (Including the Nintendo NX) To be released next year. 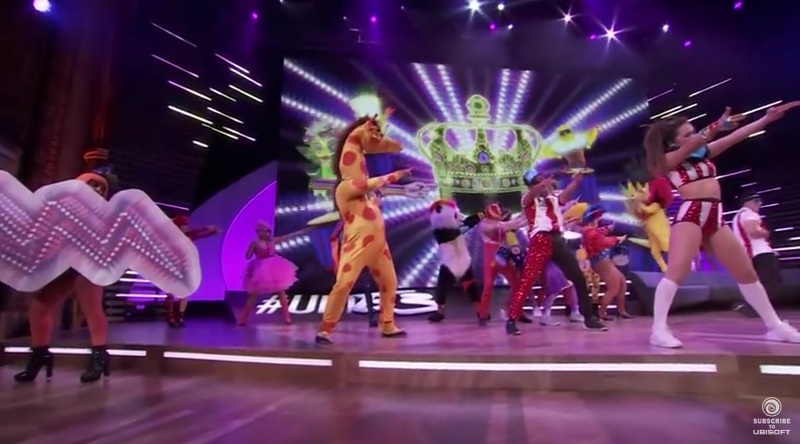 There’s no trailer here, the opening dance party just serves as a reminder of what’s to come. Ghost Recon Wildlands is the first true game shown. A dusty Bolivian village, a vicious dictator/drug dealer, and the bullet-riddled entrance of the good guys. The way they size up the landscape at the end tells me that Ghostie is going open-world, and will have missions all over the place, similar to last year’s MGS 5. I’m quite impressed, maybe this will be a return to form after the disaster that was GR Future Soldier. Dominic Butler’s up next, telling us a bit more, the game will be playable entirely in single player, or up to 4 player co-op. We’re shown some gameplay and you have to laugh at the 4 co-op players because NO-ONE is this serious when playing online and the mission NEVER goes to plan this perfectly. The gameplay IS reminiscent of Metal Gear though, this could be good if you have 3 friends to play with. We have a release date of March 7th next year. A video shows the world in chaos, and Cartman appears! Guess it’s time for South Park then! 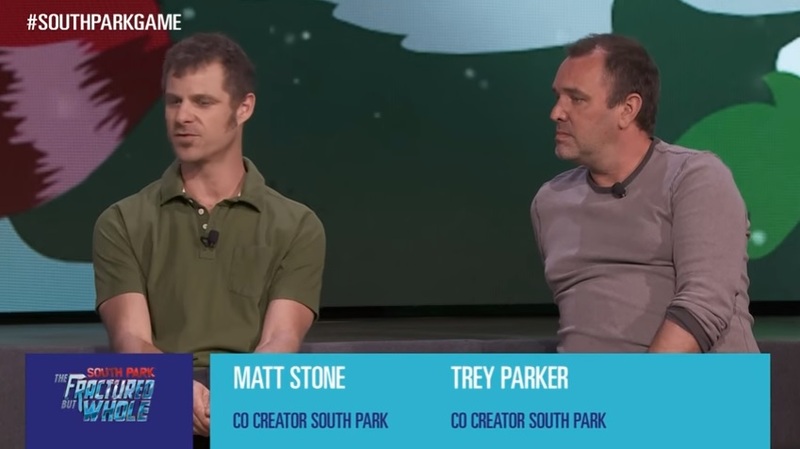 Trey Parker and Matt Stone are onhand to talk about the new game and poke fun at Marvel. We head into some gameplay footage and it seems to pick up where the last game, Stick of Truth left off. Plenty of in-Jokes and super powers follow, your farts can now rip the very fabric of time! There’s a nice bonus too: anyone who pre-orders the new game will get the last game, the Stick of Truth for free! A quick trailer to finish, and a release date of the 6th December! Tom Clancy’s The Division is the next title, and we hear a little more about the Underground expansion. It’s out on the 28th June. The header in the background states “YEAR ONE” and it’s clear that Division is a long term plan for Ubisoft. 3 Additional costumes to celebrate the 30th birthday are Ghost Recon, Rainbow 6 and Splinter Cell? That floats my boat! One more expansion is discussed, and it’s called survival. We’re shown a video of a lone gunman fighting his way through a very nasty blizzard. Suddenly he’s under attack and it’s very predator/prey. You won’t have overpowered weapons here. Teamwork and qick thinking will be key to you surviving. I love this idea, and together with underground, I reckon I’ll be picking up a copy of the Division soon – after shrugging it off when it came out! A VR Demo of Eagle Flight is next. Charles Huteau of Ubisoft Montreal leads the way, flanked by Palmer Luckey, creator of the Oculus VR system, and Jason Holtman, head of publishing at Oculus! These guys have obviously practiced long and hard because they fly through tunnels, trees and even a sewer pipe, trying to evade their opponents. It’s fast, frantic action, and I hope games like this come out for my Gear VR – there’s a small chance, surely? More VR, as David Votypka mentions the “final frontier”. We’re taken to a video. “Captain’s log, stardate 6055.6 – And yes that can ony mean one thing. It’s Star Trek, Jim, but not as we know it! The trailer shows previous cast members taking this game for a spin, and having a lot of fun doing so. You’ll play a certain role aboard the starship, as will your friends, helmsmen, captain, engineer…. the list goes on. And it’ll take all of you doing your job properly to complete your mission! 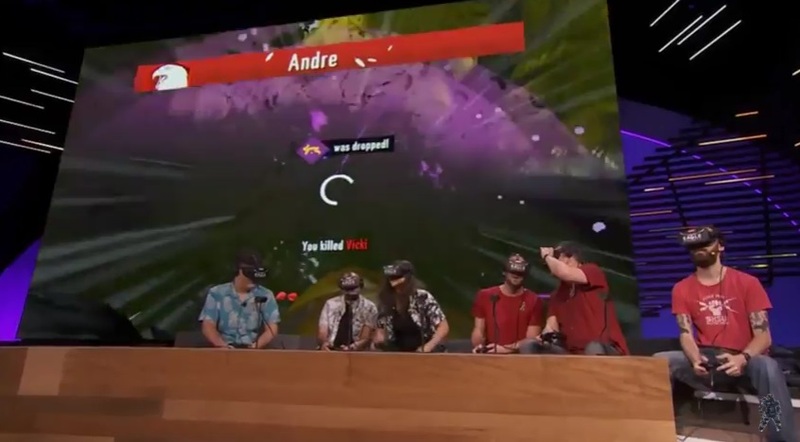 It looks like a lot of fun, but I have to question something: How am I going to find 3 other people who will buy into VR and are we all going to sit in one room wearing these things? Levar Burton’s here to chat about the game. However there aren’t many more details. Just more reminiscing about Burton’s time on the show and how immersive this new game’s going to be. Aisha’s clearly starstruck. Release date is this fall. We dissolve into another trailer… now I’m getting tired! Rain, rubble and destruction, a stumbling stranger with sword and shield is set upon by a samurai, and then a knight joins the fray. Time passes, and a lot more fighting too. For Honour! 3 Races clash here, and Jason Vandebergh delivers the backstory in a very… thepian manner! We’re taken through some gameplay as a Viking, and although the concept of a third person slash’em up doesn’t set the world on fire, the combat system looks very sturdy and the game world looks gorgeous. And it’s out…. on Valentines day? Hah. Pete Young announces the sequel to Grow home – a cute little game about a robot called bud. Grow up will throw bud into a brand new environment, and he’ll have to solves puzzles and learn new tricks to bounce himself all the way to the moon! He’ll be hitting this August. This is like crossing the streams. It could be bad. An 80’s VHS Style video plays, and I’m not sure how to describe the action. There’s bikes, wheelies loop-de-loops, but then there are lasers, monsters, jetpacks, and lots of neon pink! Trials of the Blood Dragon looks awesome. And what could be better than announcing: IT’S OUT NOW! There’s bits about the Assassin’s Creed movie, but I don’t really want to cover this. Looks alright…. but we’re here for games and I must admit I’m not THAT interested! 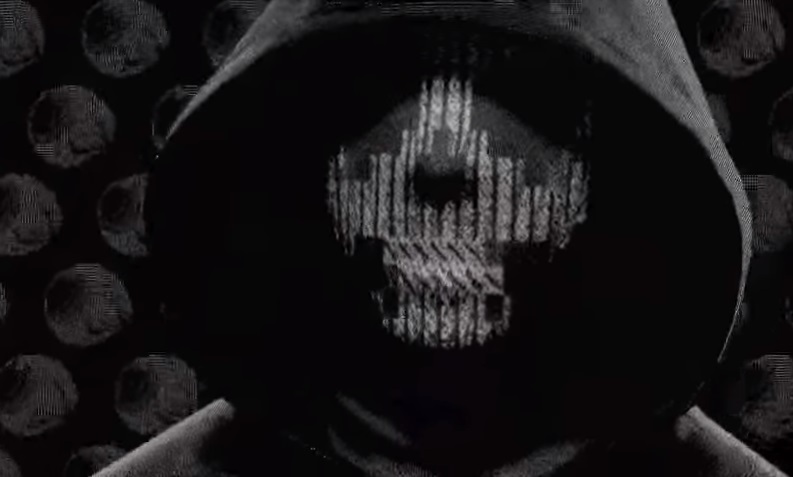 A black and white distorted man talks to us in the same way as hacker’s group Anonymous does. He’s from DeadSec, so this must be Watchdogs 2. Set in San Fransisco. 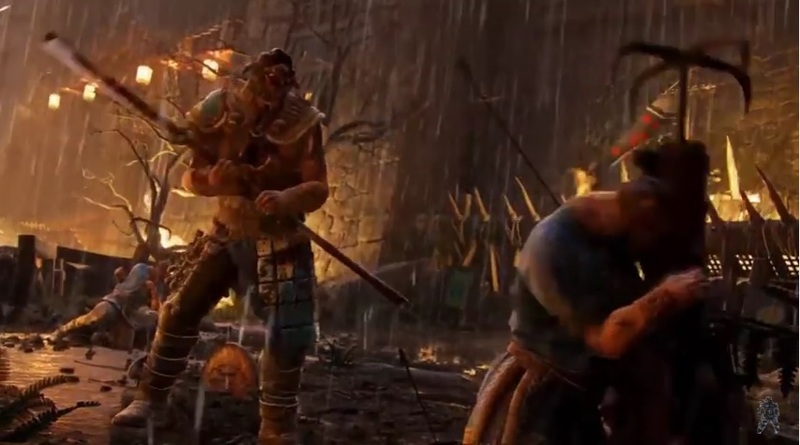 As we’re talked through the new setting and introduced to the new character, gameplay can be seen in the background. He looks a LOT more nimble than that Aiden Pearce guy from the last game! This leads to unavoidable comparisons to Assasin’s Creed… but oh well. San Fran looks vibrant, and the ability to hack and mess with almost anything you see sound like fun! There’s drop in co-op. Your phone can give you multiple side missions making this feel a lot more open than the last one. There’s a lot of creeping and hacking in this footage, and it feels like it’ll be quite satisfying if you know what you’re doing! Getting in and out with the information you need without being spotted is a thrill all by itself. Your drone tool can fly around and spy on people, or roll accross the floor and bounce over obstacles! Of course when you ARE spotted, the tension rises and you can sprint through massive environments, dodging bullets, diving through windows and hurtling down ziplines. I’m PUMPED for this new game! November 15th is the date I need to remember for this! 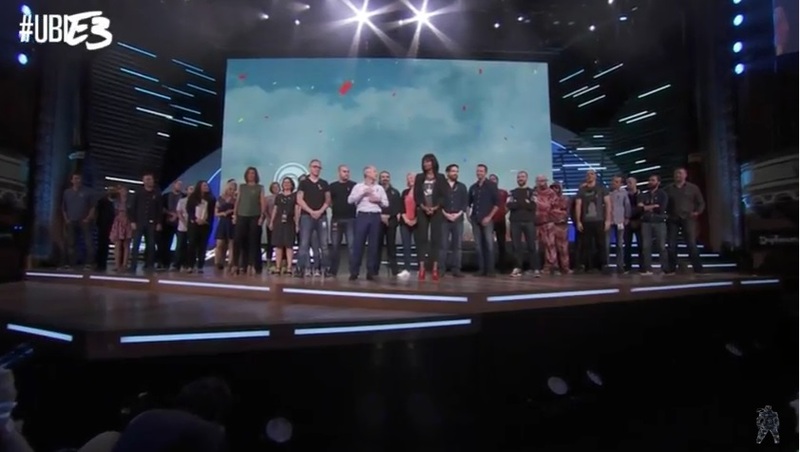 Yves Guillemot, head Honcho at Ubisoft hits the stage and announces a continued partnership with Sony. Jim Ryan from Sony Marketing takes over, and drops an announcement: Watchdogs is going to be a movie! Watchdogs 2 DLC will be exclusive to PS4 for 30 days also. Ubisoft decides to finish the event with a game that’s been ordained as their “next big thing” and it’s called Steep. A combination of Snowboarding, handgliding and base jumping, Steep is set in a HUGE mountainous region, inspired by the Swiss Alps. You can traverse the snow in any way you choose. You take part in challenges, race your friends, set challenges for your friends, even share your favourite crashes with them! Every path you take is called a Dropzone and is highlighted on the world map, callled Mountain view. You can view a replay your runs on each, fast travel to each point, or physically attempt the same run again! The mountains, snow, wind effects, go-pro style camera view from your helmet…. it all looks perfect. There’s also a silly side with clown/bear outfits shown. A Snowboarder tries an outrageous trick and clangs into a Chruch bell! What I’m NOT into is how much this game depends on Internet people. I doubt there’ll be any local 2-player option. Still – I’m looking forward to seeing how this does in December. And that’s it! Yves Guillemot and the rest of the developers join Aisha on the stage for the 30th birthday celebrations. Yves himself gives us a nice speech about freedom and looking to the future. A great mashup video is played – I’ll try and grab it for you at some point, it’s a fascinating look at 30 years of hard work. Aisha says goodbye, and we end a great show with fireworks and devs hitting the show floor to talk to people! I have to admit I’m struggling with these write-ups. There’s so much to talk about that these posts are slow to come out! So, I’ve decided to finish the next one, from Sony, and call it quits after that. I missed the Nintendo/Bethesda ones anyway. After that, normal service will be resumed. Posted on June 17, 2016 June 17, 2016 by itsonlyleggyPosted in Feature, ModernTagged E3, Expo.